Not only do we have a new name, new look site and lots of new prints, we're also very pleased to introduce a brand new artist to The Calm Gallery! Lene Bladbjerg is a danish artist based in London. She was born in Denmark but grew up in Belgium. The multinational environment prompted Lene's passion for exploring new countries and cultures, which has influenced her work as an artist. 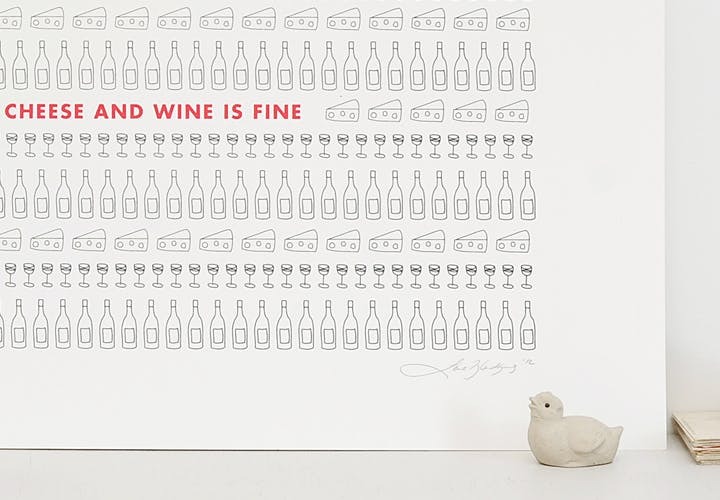 Lene joins The Calm Gallery with five gorgeous screen prints. 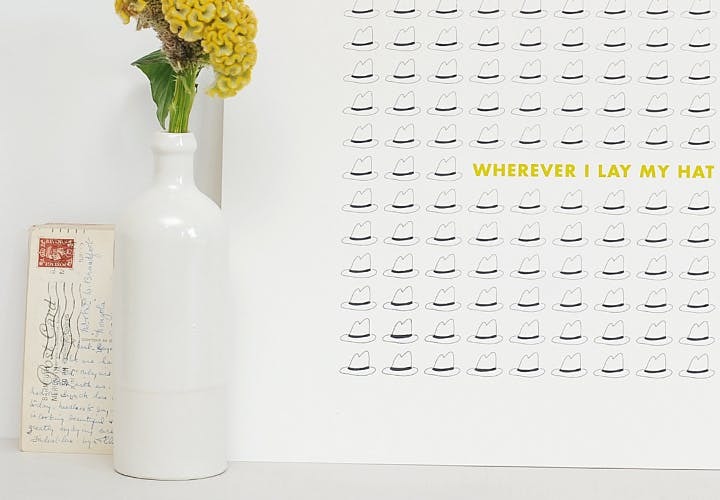 Lene has printed each of the editions by hand from her studio in South East London. Her simple yet handsome illustrations transfer beautifully to the medium of screen printing and would make a lovely addition to any wall. 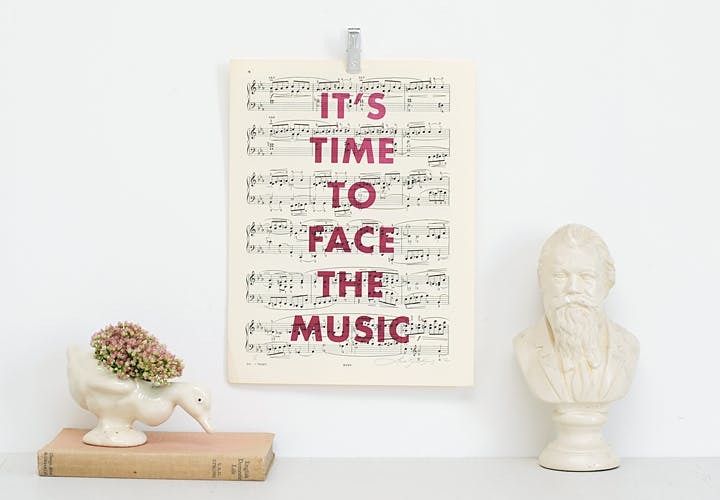 Lene's 'It's time to face the music' design has been screen printed onto vintage sheet music. The diversity of the vintage sheet music makes each print truly unique! We hope you enjoy Lene's work as much as we do. To view her full collection please click here.